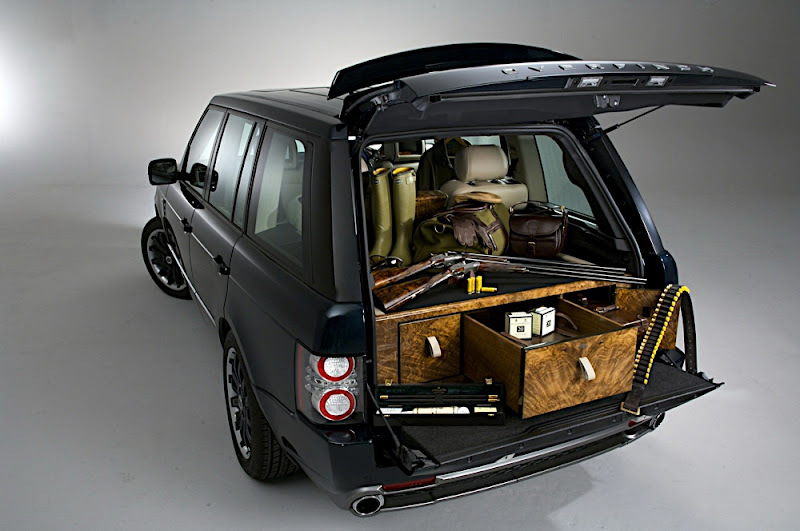 Land Rover afficonado's Overfinch have teamed up with Holland & Holland, a British sportgun and rifle maker to create a limited production Range Rover (Limited to 100). Probably not the safest combination as we can't see anything good coming from shotguns and booze contained within a $200,000 luxury vehicle. Police will likely cruise behind this vehicle writing endless DUI's. I just hope the drivers don't suffer from road rage. That aside the vehicle is stunning. The vehicle is complete with Alcantara headliner, rear console complete with a fridge and storage compartment and hand crafted rear cabinet complete with crystal glasses and flutes, shotguns, cartridge holders and liquor...stocked with Pol Roger Champagne, Balvenie single malt whiskey, Hendrick's single batch gin, Ivan The Terrible luxury vodka, and Willow Spring Water that the company will restock all choice liquors at their expense for an enitre year. 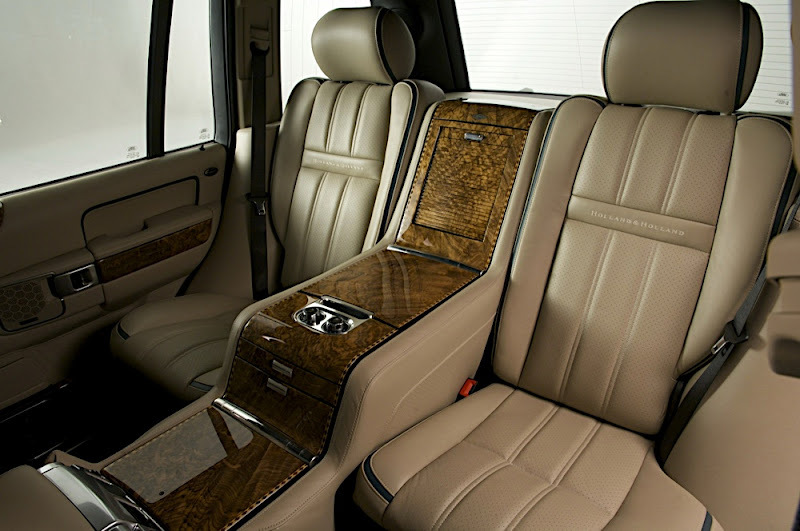 According to Overfinch, it takes over 150 man hours just to trim the car while if buyers select the optional aviation-style quilted leather or Alcantara headlining which will takeeven longer. 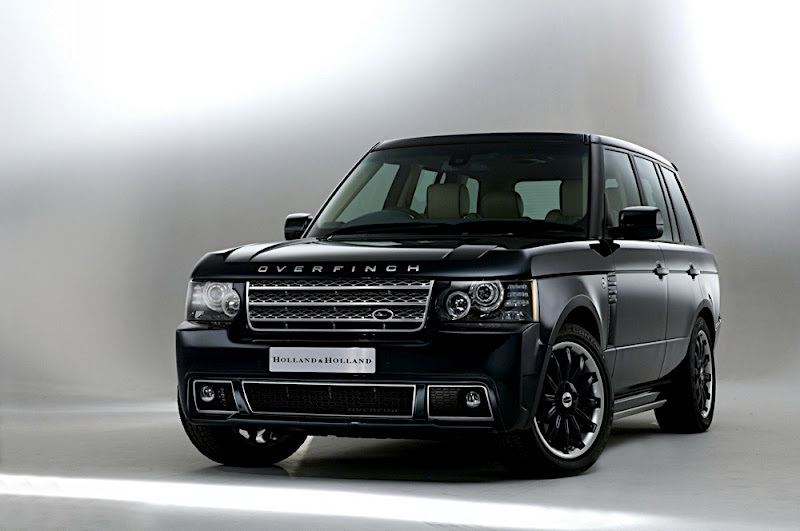 This particular Overfinch project will set you back $196,000 including export cost. My only question would be where is the limo tint? Let's murder this thing out if we are packing heat.